I am surprised that digital radio still hasn’t taken over the world, but I am also pretty sure that soon enough it will be the norm. The sound is clearer, the signal is better… it’s the technology of the future when it comes to the airwaves and fortunately there are some amazing DAB radios out there that can bring up the style in your home and deliver amazing sound, as well as other modern features. Fortunately, the price of DAB radios is dropping constantly, which means that you no longer have to spend a fortune in order to get a high quality DAB radio. It’s true that most of the cheap ones are not that good, but that’s why we’re here: to help you get the best DAB radio without blowing your budget. And in order to help you achieve that, we’ve got a list of four amazing radios that you will love, both price-wise, as well as features- and performance-wise. I know that this is called “portable” but you shouldn’t expect something very small as the longest part of it is 20 centimeters. Although that’s not too big either, it’s certainly not a radio to carry around in the pocket. 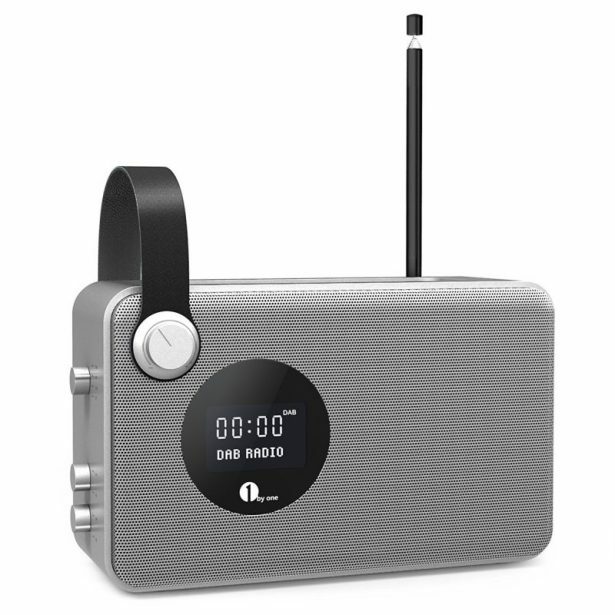 Now that we’ve got that sorted out though, let’s talk about the DAB Radio from 1byone! 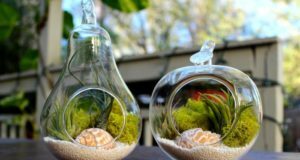 At the moment of writing this, it is an Amazon UK bestselling product, scoring an awesome 4.2 stars out of five from over 120 reviews. In other words, most of the people who tried it were extremely satisfied. And you have all the reasons to be as you are getting a product that not only looks really good, but also offers crystal clear sound quality. Although small in size and very cheap, it has solid bass (I am a bass addict, I must admit!) but also the vocals sound very natural and clear. Even with the volume turned up at maximum levels, which are really loud, the sound remains clear and enjoyable. 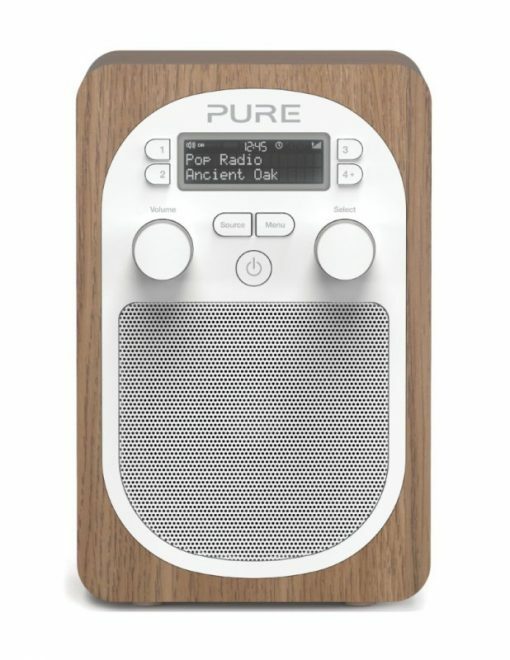 The 1byone DAB Radio also has FM capabilities – although I doubt you’ll use them after hearing the crystal clear sound of the digital waves – and can store up to 20 DAB stations in its memory. It can also work as a speaker for a laptop, tablet or MP3 player as it can be easily paired up via Bluetooth or an auxiliary cable with other devices. 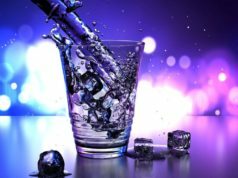 These are good features to have, and if you don’t have dedicated speakers for your laptop, for example, you’re getting way better sound quality from the 1byone Radio. The design is also nice, especially if you’re into minimalist designs. The control buttons are placed on top of the device and they work great, while the volume button is nicely implemented into the handle of the radio. 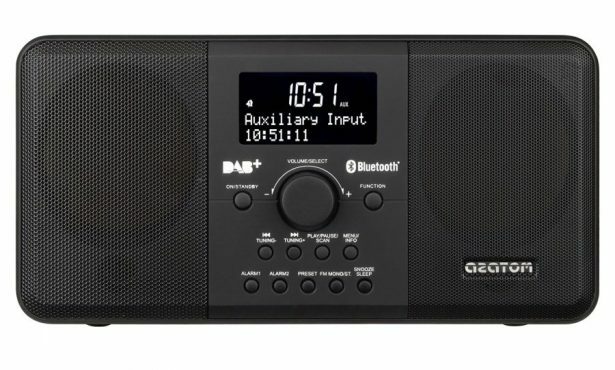 It’s very easy to use and set up and overall a great cheap DAB radio, so I am not surprised to see it as one of the best selling products on Amazon. Click here to buy it or find out more about this product. Let’s be honest now: radios are considered by many a thing for the past and their days of glory might be well gone. 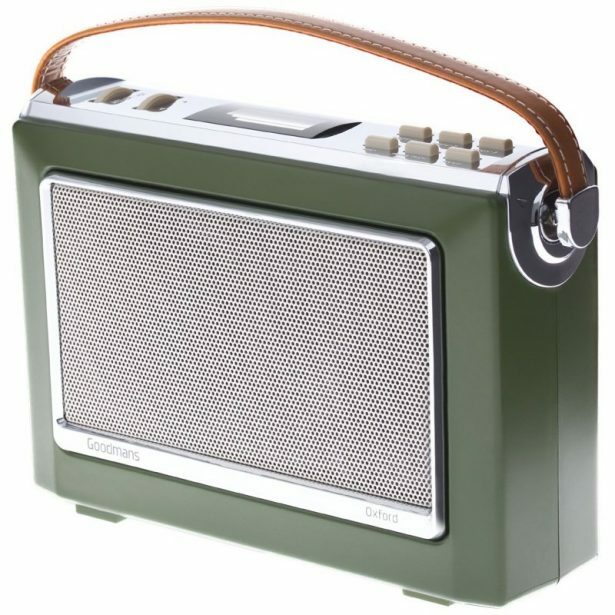 However, they’re alive and kicking and I am sure that many people would love a vintage look for their modern DAB radio. Goodmans has the perfect product for you if that’s the case: a radio that looks like it came from the past, but one that is packed with modern features and is ready to impress. 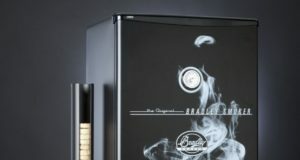 It can play DAB+ Digital Radio & FM radio and it can store your favorite stations as well. The sound is very clear and signal is strong, as is the case of DAB radios in general and it can also be used together with your phone or MP3 player as a speaker thanks to its AUX in port. It also has a headphone port in case you want to use them for whatever reason. 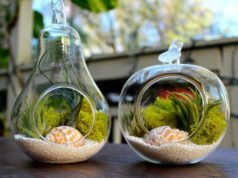 If not, just place it in your kitchen or anywhere else in the room and it will bring outstanding vintage beauty to the room, as well as good quality. It can be powered either by battery or via the included mains lead. Just make sure you push the mains lead firmly in place, as it will still work if not pushed all the way in, but there’s a chance for the cable to fall out. Just make sure it’s pushed all the way in though and there should be no problem. All in all, if you’re looking for a vintage radio with modern capabilities, this one is the perfect choice. 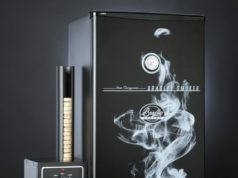 You will love the old school push buttons, rotary volume and tuning dials – everything about it, in the end. The only thing that I wasn’t a big fan of was the relatively small LCD display, but it still gets the job done. We’re jumping from a vintage radio to a very modern looking one with the Multiplex D1. This DAB radio has a multitude of extra functions that gadget lovers will truly appreciate, like USB Output to charge your mobile device, dual Alarm clock as well as a removable carry handle to make the D1 more portable. An interesting thing about the Multiplex D1 is that, thanks to its two speakers, it can deliver stereo sound. Combine that with the clarity of the Digital Audio sound, and you will get great radio whenever using this gadget. 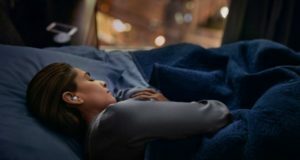 It also has a headphone jack in case you want some alone time with your favorite stations, as well as Bluetooth capabilities to quickly pair it with your laptop, phone or tablet. It also has a 3.5mm AUX input so that you can connect any audio device you feel like connecting. In terms of performance, it seems to be a general consensus among people who tried it that it’s really good. On Amazon, for example, it has an average rating of 4.5 out of 5 stars, based on over 100 reviews. These are really good signs! We can also tell you that it really deserves all the praise as you get a high quality DAB radio and good sound for the price! 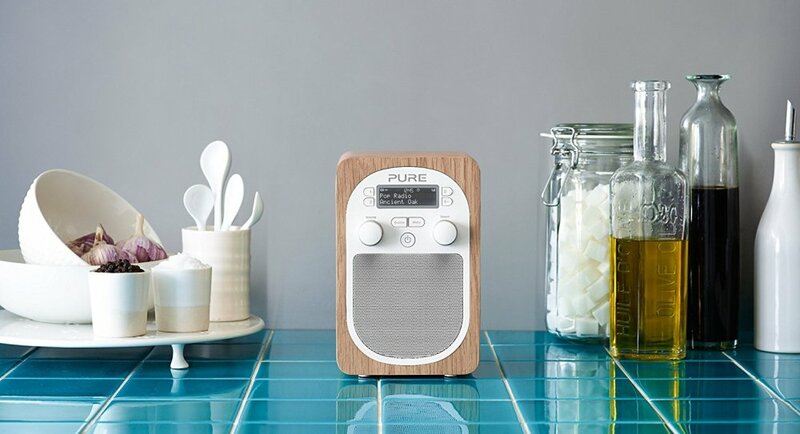 Now this is a DAB radio that you might have heard about and you’ll be surprised to find out that it sells for under £100! Many people and publications consider it the best DAB radio in the budget category and we couldn’t agree more! What you will love first about it is the way it looks. It has an amazing design, the wooden finishes being absolutely beautiful and classy. Unfortunately, since this is an older model, it has some minor drawbacks, like the lack of Bluetooth for example and the fact that it can only save 10 favorite stations. However, it does have a stereo headphone jack and Aux input for connecting your MP3 player or iPod and so one, as well as alarm, kitchen timer and an optional Pure ChargePAK B1 rechargeable battery pack if you want to make it more mobile. However, unlike most cheap DAB radios out there, the Evoke D2 comes with three year warranty, which is extremely encouraging. 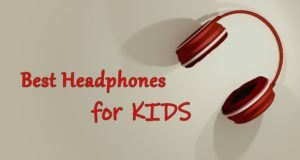 The sound quality is really good and it can deliver very loud sound without losing much of the quality. I consider that for a fairly sized living room, setting the volume to 50% produces great sound. So yes, despite its minor lacks – with the most notable being the lack of the Bluetooth connection – this product is extremely good and durable. These are, in our opinion, the best DAB radios out there. Once you go DAB, you won’t go back so don’t waste a single second and choose your favorite from the list above and get ready to enjoy radio like never before!